air-lux stands for quality from a single source – from development to installation. From development and planning to production and installation – 50 years of experience and passion are behind everything we do at air-lux. Krapf AG, the developer of air-lux, has specialised in consulting, planning, production and installation in the fields of façades, window and metal construction since 1964. Architects, façade planners and builders can depend on top quality, expert support and comprehensive planning reliability. 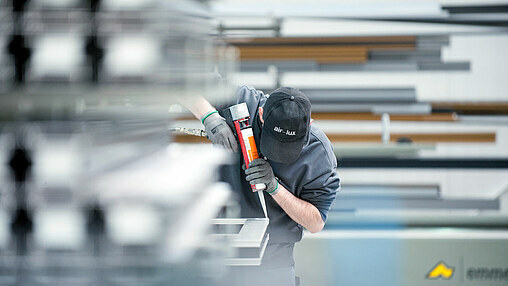 air-lux sliding windows are manufactured in Switzerland from high-quality aluminium profiles and materials. The craftsmanship of the robust yet refined frames meet the highest quality standards. That's why air-lux guarantees flawless functionality and offers a 10-year warranty on seal, frame and fittings. What's more, our service team provides 24-hour support to air-lux customers.